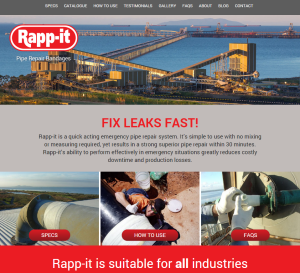 New Look Website for Rapp-it! After months of planning and hard work here at Rapp-it, we are proud to launch our new look website. We wanted to develop a site that is easy to use and gives you everything you need – we think we have done it! Our Specs page gives you the low-down on Rapp-it. The Downloads page is where you can get our Catalogue, Quick Reference Flyer (QRF), MSDS sheets and warranty terms. The How to Use page, well that speaks for itself and if you have any questions you will likely find the answer on our FAQS page. Or you can contact our office where one of our lovely staff members will help you out! 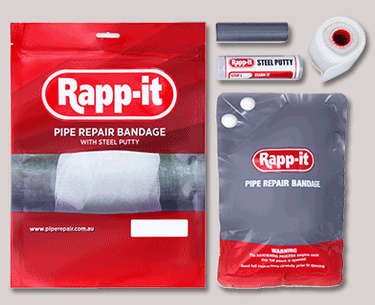 Don’t forget to check out the Testimonials page too – this is our favourite because we just love hearing about your successful Rapp-it repairs.